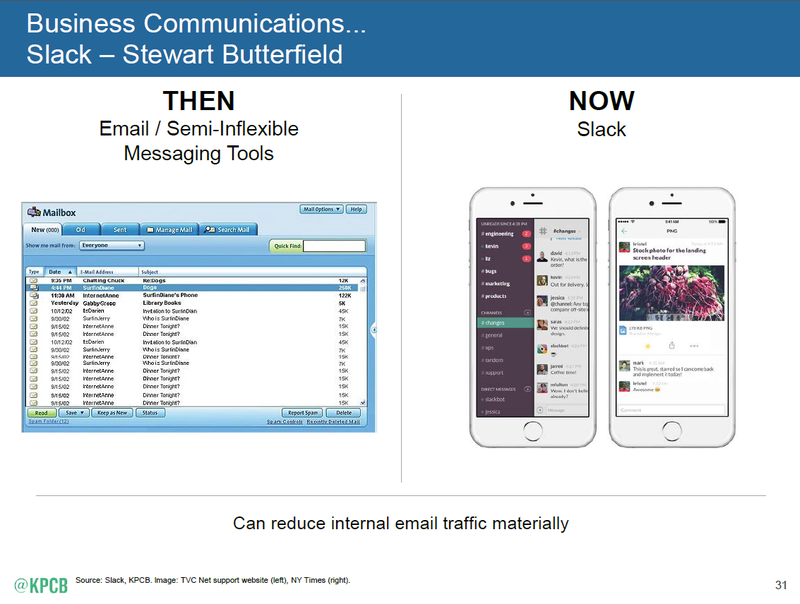 Mobile is still a thing, global Internet and mobile phone growth is slowing, messaging is your new inbox, and ecommerce ate 9% of retail. Yes, the annual Internet Trends report by Mary Meeker was just released and, as usual, the Internet is abuzz with reviews of it. The report covers trends that affect all things online for consumers and businesses alike (get the full report here); today's post is our take on some of the most important topics for business shippers. 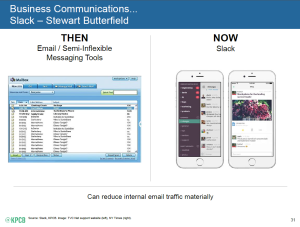 With 197 slides in the full Internet Trends report, is there anything missing? We think it's this one slide; maybe she'll include it next year. 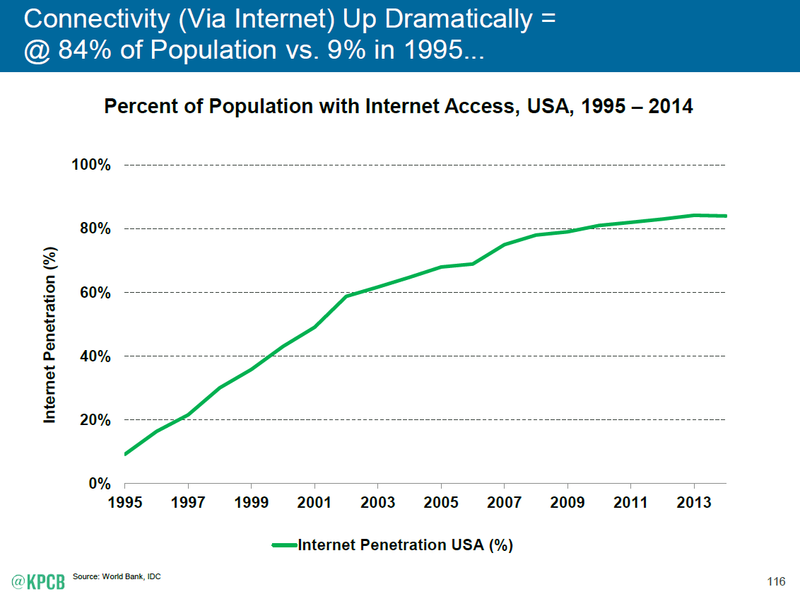 The Internet Trends report starts with some interesting stats like 0.6% (35M) of the global population used the Internet in 1995 compared to 39% (2.8B) in 2014. There is plenty of coverage of mobile trends including an update that there are now 5.2B mobile phone users or 73% of the global population, split 60/40 for feature-phone to smart-phone. And just in case the pace of change didn't feel dizzying enough, more than 70% of the global population has "gone online" over the last two decades. One of the more interesting tidbits from this year's report is that growth of both global Internet and Mobile Phone subscriptions is slowing. New users are still getting online but at a steadily declining rate: +8% 2014, +10% 2013, and +11% 2012. Smartphone subscription growth is higher but still steadily declining on a global basis: +23% 2014, +27% 2013, + 65% 2012. With overall consumer Internet data traffic growth of +21% and mobile data growth of +69%, users of all types are continuing to access more data. But it does appear like "maximum adoption" could be closer than we think as it gets harder for the last 20% of the global population to get connected. 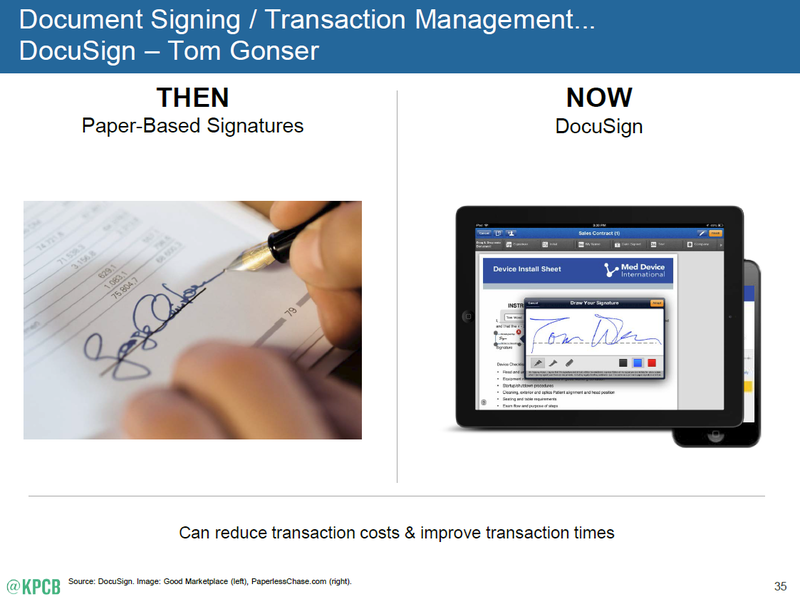 Another good example is Docusign as a focus on the pain and time of collecting signatures on contracts. There are a number of other great examples of Enterprise technologies "transforming" how businesses transact --- going after existing business process pain points. 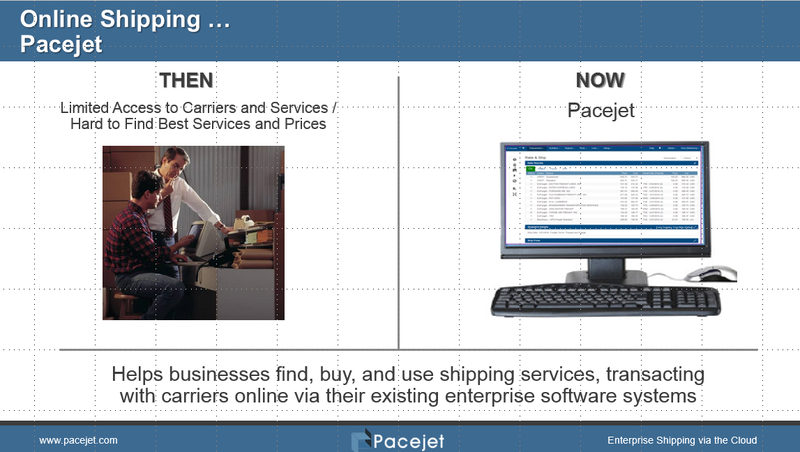 Although Pacejet was NOT included in the report, here is the one slide we think they missed (maybe next year!) 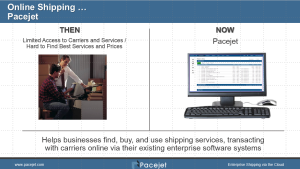 Reworking the painful user experience of quoting and shipping to provide more choice, visibility, and efficiency is what Pacejet is all about. With the recent launch of the Apple watch and all it's brethren, it's abundantly clear that messaging and notifications remain strong technology trends. Highlights in the Internet Trends report focus on the greater "personal touch" of messaging and notifications as wearable technology wires us even more closely to each other and our systems via the web. If an inbox full of spam isn't tough enough to manage, we wonder what it will be like when a blizzard of notifications can literally poke us in real-time. 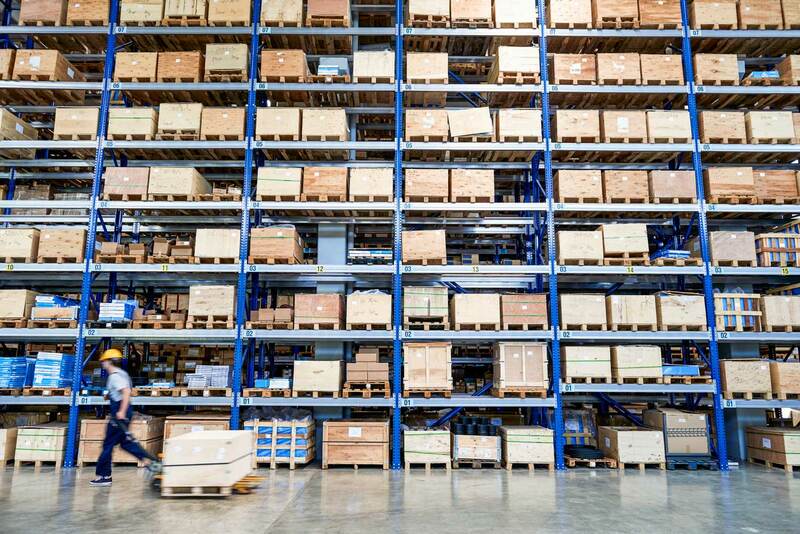 Most Pacejet users manage at least some small level of international shipments and view exports as a growth opportunity. 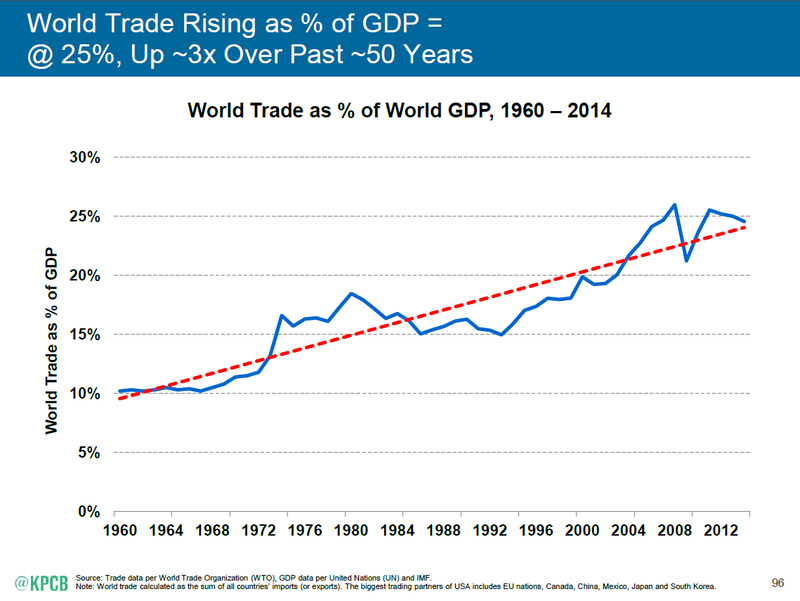 The data agrees with the practical experience, we especially like this chart on the 3x growth of world trade over the last 50 years. 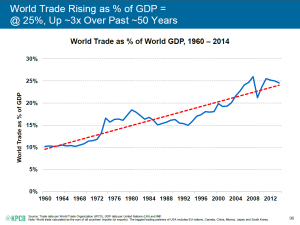 Exports remain a constant opportunity for most companies. 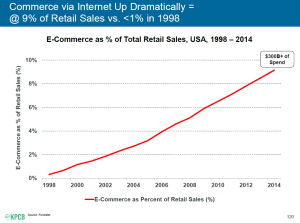 Remember all the hub-bub about e-commerce, how it would transform the economy, the dot-com crash, and then all the skepticism? 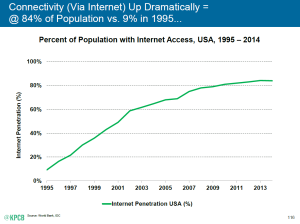 From basically a "standing stop" prior to 1995, Internet connectivity in the U.S. has surged to include 84% of the population as illustrated here. 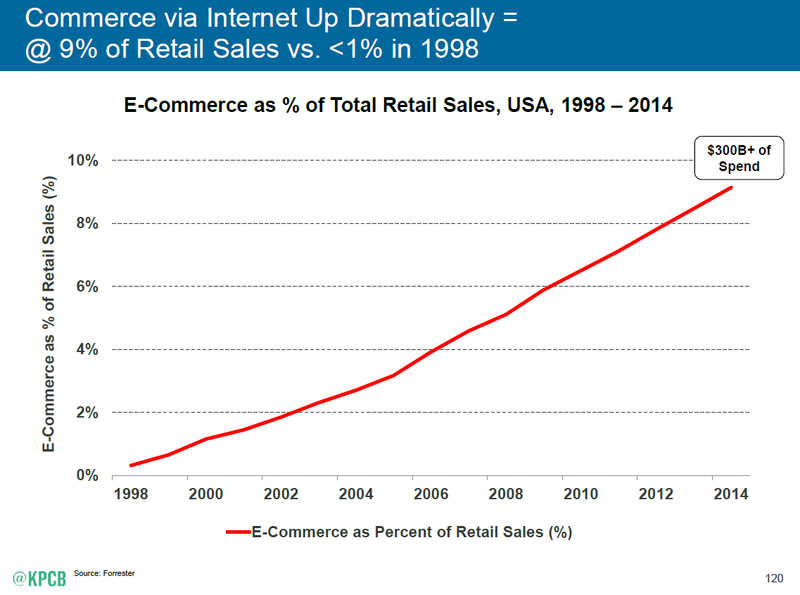 And while less than 1% of all retail sales were online before 1998, more than 9% of retail is online now. Think about that for a second --- that transformation is like one in ten of every stores in every strip mall in every city in the U.S. moving their business entirely online over a period of 20 years.